The Six Nations Rugby tournament is probably the second biggest Rugby competition after the Rugby World Cup (although I'm sure anybody south of the equator would argue the toss over this!) Played between northern hemisphere national teams from England, Scotland, Wales, Ireland, France and Italy. The 6 Nations was previously known as the 5 Nations (England, Scotland, Wales, Ireland and France) and originally as the Home Nations (England, Scotland, Wales and Ireland) starting way back in 1883. Involving some of the oldest grudge matches in Rugby the 6 Nations seems to thrive on exciting, physical Rugby. As well as the 6 Nations title itself there are also several smaller prizes played during the course of the Six Nations the most famous of which being the Calcutta Cup played between England and Scotland. The 2018 Six Nations ended with a glorious Grand Slam for Ireland, a result they seem to have used as a spring board playing some great rugby during the Autumn Internationals and taking it to the southern hemisphere teams, scoring a first win over the All Blacks in a long time! For me the 2018 Six Nations was a bit of a disaster which is why you'll not find it in the archives below. It's the first time in many years I wasn't able to concentrate on the rugby. It was a case of needs must as I spent then and the following 5 months at my dads side as he fought and then died from cancer. He was always a rugby over football man and to be honest whilst I enjoyed watching the later games with him (all be it watching his beloved England getting hammered) I wasn't as involved in the games as I'd usually be, certainly had no interest in writing them up. So the 2019 Six Nations comes with a lot of mixed feelings personally, it's still my favourite sporting event each year, I am going to take the time to have a few pub days this year but it all comes with the memories of when the old fella began his spiral downwards. I'll do what all good rugby fans would do, drink a few Guinness in his memory and enoy the action! 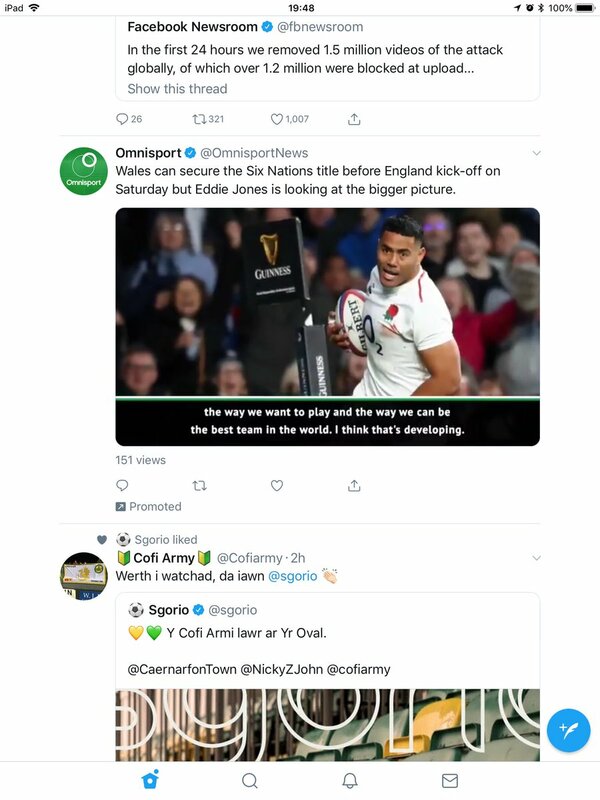 When it comes to watching your 6 Nations rugby live on the internet the BBC have lost exclusive rights to the tournament in the UK and are now sharing it with ITV. The good news is that both channels are free to air as long as your are in the UK. Both the BBC and ITV provide high quality streamed content (Ever wish that that you had a UK Internet Connection?). You can find out more details on the BBC's 6 Nations Coverage by following the link. The Six Nations has a huge following all over the world, especially in the southern hemisphere (maybe they admire our kicking game in secret) so there will no doubt be countless other places online showing the Six Nations matches live. Check out the live sports schedule on the day of games. I have always said you will never ever see a game like rugby for splitting the first and second half. It seems that once a pattern in the game is established it stays that way until the coaches get a hold of the players. You won't see a better example of this than the first game of this years Six Nations when Wales travelled to France. France were majestic in the first half, running at will through Wales and finding all sorts of gaps. Wales on the other hand were a shambles. Queue half time and you will never see a game with a bigger role reversal. As Wales found some form, France fell to bits and the final score of 24 -19 to Wales flattered France. Unbelievable after the first half! In the other 2 games Scotland gave their fans hope of an even better Six Nations than the 2018 tournament with a hard fought win at home over Italy. Whilst England beat last years winners and grand slam holders Ireland gaining a bonus point in the process and setting themselves up as favourites to take this years title. Can't wait for next week! Scotland, they must drive their fans mad?! After a really good start you'd forgive their fans for thinking they had a good chance at home against an Ireland that failed to turn up against England? Nope. They never even got close to getting going and to be honest it was the worst game of this years Six Nations so far by quite a way. Next up a much changed Wales team travelled to Italy where they made really hard work of it. The game was nip and tuck well in to the second half where it seemed the extra fitness in the Welsh team kicked in finally running out convincing 26 - 15 winners. The last game of the weekend was a proper old fashioned Sunday pub day in which we were treated to a close to record breaking performance from England. In terms of form France were far more second half than first half how they played against Wales. The huge amounts of space behind were exploited by England quickly wracking up a bonus point scoreline. And as I've said before it seems to take a half time to change a game, why couldn't the French players themselves see what was happening as England continued to kick in to the same spaces? It was bloody obvious even to the most casual of fans but it took until half time for somebody to have a word and for the game to at least close up a little in the second half. Still the 44 - 6 score for England was well deserved and honestly could have easily been more. Break next week then what looks looks could be a title decider when Wales host England. Can anybody stop Wales? They always seem to do just enough to win and this week England found out the hard way that 40 good minutes against a team that seems to have forgot how to lose isn't good enough! Generally much like against Italy and France they didn't actually look that convincing but always come out on top, in this case a second have push giving a 21 points to 13 win. Talking of France they returned to scoring form (and the same could be said about Scotland :)) with a really good 27 - 19 home win over the Scots. In the other game of the weekend Italy were actually in the lead against Ireland until half time but greater fitness told out in the end with the Irish just about earning a 26 - 16 victory. Going on form next weeks games should be all pretty straight forward, meaning we'll end up with a super Saturday of Six Nations deciders on the 16th March. With a Grand Slam still in sight Wales strangled the life out of Scotland this week. In what was a really good game to watch Wales dominated the first half with Scotland using the home advantage to re-group in the second, but not enough. Like I said before, Wales just don't seem to know how to lose and got over the line by 18 points to 11. England on the other hand kept their slim title hopes alive with yet another bonus point victory, they destroyed a very below par Italy in the first half and despite easing of a little still came out with a 57-14 victory. Honestly it could and maybe should have been even worse for the Italians. The final game of the weekend gave us another chance to see the bipolar French team. A disgrace in the first half where they barely seemed to get out of their own 22. In the second half they at least tried but still ended up losing 26-14 to an Irish team that if they can beat Wales in the their last match still have a shot at the Six Nations title. I reckon this years Six Nations has given us more games of 2 halves than any other, should make for a cracking Super Saturday of last round games. I don't think I've ever watched a full day of Six Nations rugby that involved so many emotions, the ups and downs and what could have been a dead rubber turning in to one of the best games on international rugby in recent times. The whole thing started off with Italy putting in a much more gutsy performance (at home of course) against the bipolar French. It still wasn't quite enough to get the victory and with ever more people shouting for relegation/promotion in the Six Nations are there days numbered? Hopefully not because there is progress and losing 14 - 25 against a French team that turned up is no disgrace. Talking of turning up what happened to the Irish? 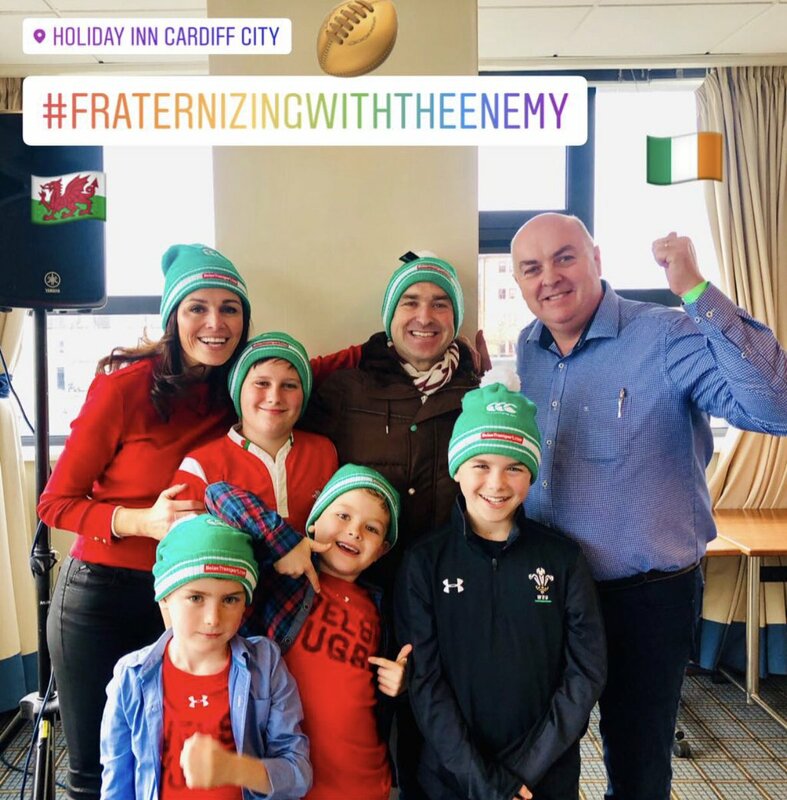 In what should have been the most dramatic game of the day a resurgent Irish (Grand Slam winners last year) were supposed to be playing the party pooper role for the Welsh. Didn't quite happen did it? The Welsh were on top for the full 80 minutes and there was virtually no drama as they ran out 25 - 7 winners, completing the Grand Slam and making the final game of the day for nothing...or so we thought. What followed really couldn't be described with words, other than to go over how much a game of 2 halves international rugby can be. Instead I'd suggest you search for the highlights and enjoy a classic! For me we were about 10 pints in at that point and were well on the way through a few rum and cokes to toast the old man so the chance to watch the highlights was much appreciated. The perfect end to another brilliant Six Nations tournament. Game of the week? Easy, Scotland vs Ireland in the Six Nations opener! Scotland got of to an absolute flyer in the first half but as they looked to tire from early in the second and the Irish pegged then back it was all set for the type of disapointment that the Scottish have gotten used to. Except something happened that doesn't happen very often at elite level sport, Scotland regained the momentum and took the lead again, holding on for a first Six Nations win over the Irish in a long time. Elsewhere the complacancy many English fans were worried about seemed to materialise and they were extremely lucky to get away with a 3 point victory over a French team that was very much old school French. The final game of the weekend saw Wales run out a pretty standard victory over the Italians in the second half having been given a scare in the first. Before the Six Nations started a lot of people were saying that the Ireland England game in the last weekend was likely to be the decider, perhaps not anymore? Another brilliant weekend of Six Nations rugby, 2 titanic games that could have gone either way and one game that brought in to question the idea of opening up the possibility of "relegation" from the Six Nations? After Italy ran out of steam against Wales they were expected to put up strong resistance at home to Ireland, alas it never happened and they were destroyed with Ireland running in 9 tries in the process. Italy now have a trip to Twickenham to look forward to! The other games were much closer, Wales were brilliant for 75 minutes of their game against England but just couldn't hold on. It was a storming game to watch where the dominance switched from one team to the other. That result puts England on a record making 16 match winning run with Italy to come next. The final match of the weekend saw France follow up their good performance against England with a win over a Scottish team that had shocked Ireland in the first week. Scotland were ravaged with head injuries during the game and it shows how far they have come in that it took 2 late penalties by the French to finally settle the match. Scotland tank Wales, Ireland build on their demolition of Italy to beat France and England beat Italy in an unconvincing performance to make it 10 wins in a row and equal the Six Nations record. Wales played a stormer to beat Ireland and give England the chance to secure back to back Six Nations titles which they duly did in a commanding performance against Scotland. For the first time in this years tournament every element of the English game ticked in to place giving them a record breaking 11th straight victory in the tournament. In the other game France followed through on a routine victory over Italy which prompted yet more questions about Italy's status in the Six Nations. Now that is how you sign out of a Six Nations tournament! With nothing more than second place to play for the last two games were two of the closest of the entire tournament, with France and Wales breaking the record for the longest game, it took a whole extra 20 minutes until France finally snatched the win from a visibly shocked Welsh. That just left the Irish to upset the English in what was a hugely tense and close game, the 13 to 9 scoreline a fair reflection of went down on the pitch, so close to St Patricks day it just had to be! No record wins for the English, no back to back grand slams, the Irish delighted although it has to be said as a neutral it's hard to understand WHY the English fans are so hated yet the Irish loved? You couldn't slip a piece of paper in the gap between the levels of arrogance of both sets of fans (certainly where I was watching) so it's a bit of a mystery? There is one golden rule in TV, if you need a pundit to tell you how exciting something is then there is every chance it's just not that exciting. This was very true of the first week of the 2016 Six Nations. Those of us hoping for a Northern Hemisphere backlash into exciting rugby after the World Cup shambles were left a little disapointed. Of course there were some highlights, Italy very nearly turning over France away from home and a very rare draw in the Ireland vs Wales game but at the end of the day the first weekend was definitely a slow burner. At this stage the teams have more to lose than to win so hopefully next week things will pick up and we'll see a little more running with the ball. Week 2 and things started to heat up a bit. Despite a lack of free flowing rugby the French, Irish slug match resulted in a very close game with France just edging it depsite falling 6 points behind twice. Two first half injuries have cost Ireland any chance of winning the Six Nations having only 1 point from their first 2 games. France meanwhile are two for two, but far from convincing. The Wales vs Scotland game was far more entertaining, an early try for Wales seeming to get things going, matched by a try from Scotland within 15 minutes. What followed was a see-saw affair before Scotland just seemed to run out of steam towards the end. The last game of the weekend looked like it might produce an upset with Italy taking an early lead but once England got ahead it was virtually one way traffic scoring some nice trys in the process. Week 3 and the reason why Wales were strong favourites before this years Six Nations started finally comes to the fore. It also proved just how random the French team but the end result was that next weeks game between Wales and England is very likely to be a tournament decider. In the other games Scotland finally got a well deserved Six Nations win coming out comfortable winners against an unusually lack lustre Italian team who normally play much better at home. The final game of the weekend saw England power past Ireland in what was a very close game until a couple of quick tries settled the game in the second half. Week 4 and it's all over, I don't think anybody saw that coming! In what is a polar opposite to last years last round nerves this years tournament has been sewn up early. A dominant first half performance by England over Wales was enough to take them clear at the top of the table and with only France standing a chance of stopping them, their defeat to Scotland on Sunday was enough to hand England the Six Nations trophy. All that is left now is to see if they can complete the Grand Slam when the play France in Paris in their last game. England secure a first Grand Slam since 2003, Scotland continue to impress but lose narrowly away to Ireland and Wales produce the most one sided contest of the whole Six Nations by demolishing a lack lustre Italy on Welsh soil. 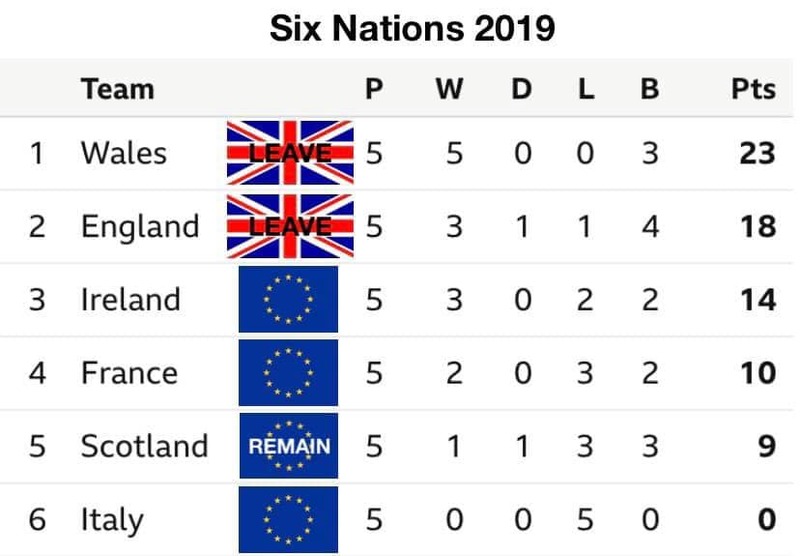 Overall then English fans will be delighted with how the 2016 Six Nations went but I feel for the neutral who will feel a bit let down after the drama of the 2015 tournament. 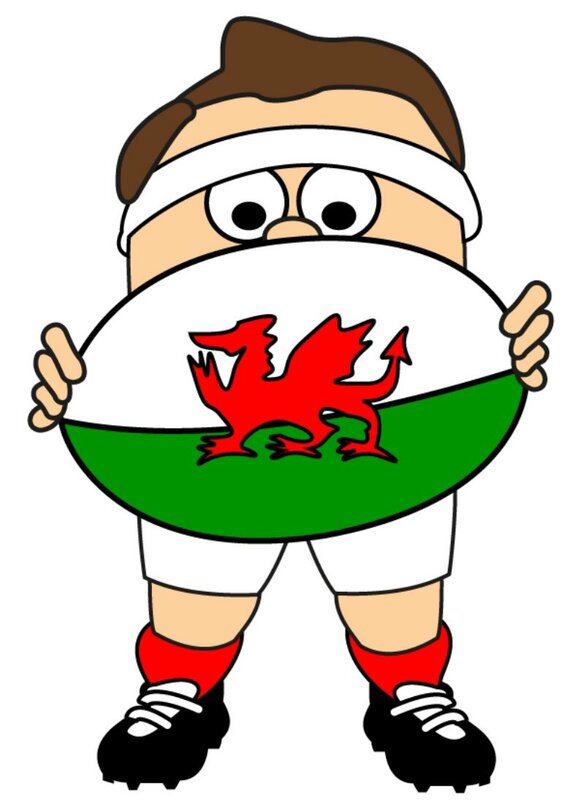 For previous tournaments please check out the Six Nations Archives page, where you can find all the results and highlights.